This is how it happened for years. Every morning when I would come awake to the day, I would talk to Jesus. “Good morning,” I’d say. “It’s me again. What are we up to today, Lord?” I’d tell God how much I loved Him. I’d apologize in advance for the dumb stuff I was certain to do. I’d ask Him to bind my wandering heart to His. And with His Spirit in me, I’d preach a little bit of gospel to my idol-factory heart. That all happened before I touched a single toe to the carpet because I knew that in order to face the day, I had to first turn my face to Jesus. And then I got an iPhone. And then I starting setting that iPhone on my bedside table at night. And then I started picking it up first thing in the morning. And God wasn’t first anymore. Because, in the morning, that iPhone waved a pixelated little hand at me. She made noises. She cried for attention. My alerts were pinging, reminding me of doctor appointments and deadlines. I scrolled, double-clicked, all of which kicked my brain to the speed officially known as Cray-Cray. Facebook yanked me by the sleeve, making me walk onto her front porch for a sec. Harmless, really. I mean, I loved the Bible verses, and the sunrise pictures, painted by God Himself. I didn’t intent to step in further, but I did. While nestled in my bedcovers, I flicked my finger up the tiny screen. Scroll. Scroll. Scroll. Soon, I was coveting my neighbor’s Caribbean vacation, was envious of my friend’s slimmed-down waist, was exhausted by another loud debate unfolding, was sad to see I didn’t get invited to the party, and was reminded that the Halloween costume we’d hastily scrounged up the night before would surely send all my Pinterest-worthy friends into a tailspin of horror. I was falling short at life, and I hadn’t even had my first cup of coffee. That was all before 7 a.m.
That was all before God. I had to save my morning, in order to save my day. I needed to tend to my soul, before the iPhone scroll. I needed to make God first in my day again. So I kicked my phone out of the bedroom. And I didn’t pick it up until I talked to God first. Until I read His word. Now, I don’t want to get legalistic about this. Truth be told, I love my iPhone Bible-reading apps, prayer apps and podcasts. Those have helped me achieve a more ordered spiritual life that I can carry with me to airports and orthodontist waiting rooms. The Bible is on my phone, but my phone isn’t my Bible. This year, I met Carey. She’s a life coach, a teacher, and a dreamer. She knew exactly what was missing in my morning routine, and she had even been talking about the same thing on her blog. 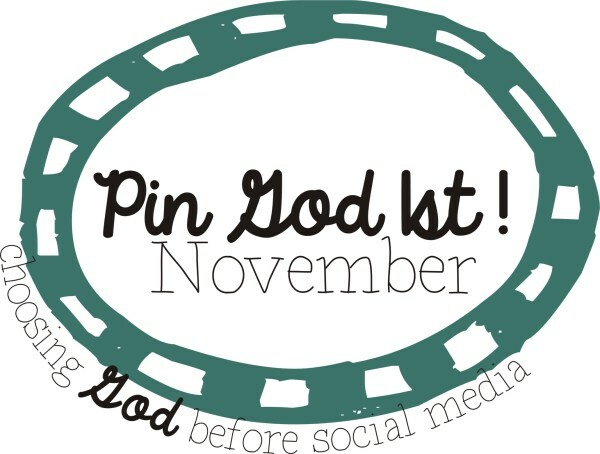 Months earlier, she had created a program called “Pin God First.” Her program was designed to help women choose God before social media. She created monthly calendars, with Bible verses for each day. 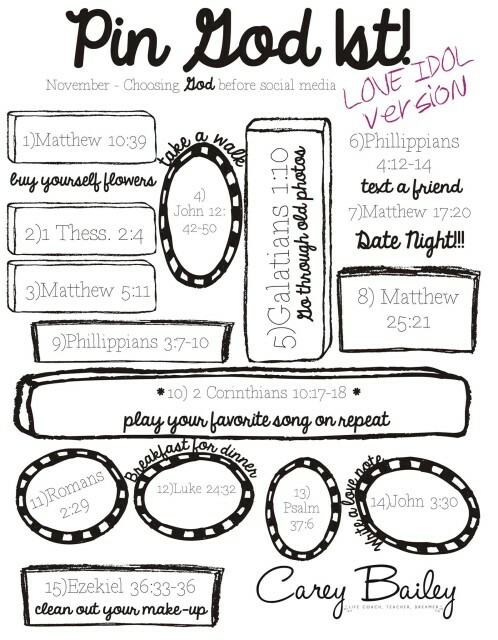 She took a month’s worth of the verses that I quote in Love Idol, then she plotted them on a calendar — along with some fun prompts — and she invited her blog friends to read along with those verses in November. And now I am inviting you. 1 – Read the assigned passage. (See the short passages below). 2 – Ask God to speak to you through the word. 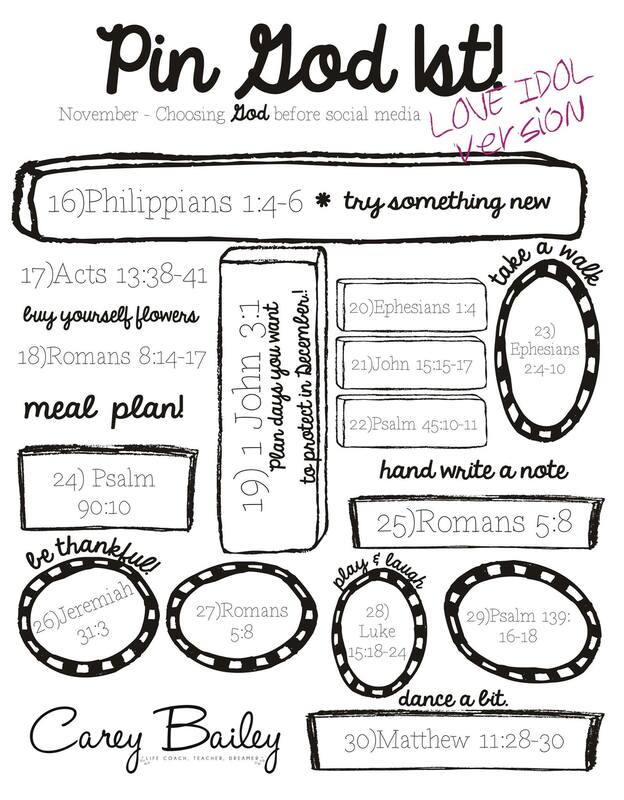 3 – Visit us on the blog, or the Love Idol movement page on Facebook, to share what the verse means to you. How does the verse help you remember who you really are, outside of all the cultural noise? 4 – Add more of the Good Stuff to Facebook, Instagram, and Twitter by encouraging your friends with the insights you’ve gained through your daily reading. I’ll post my own response here on the blog every morning at 5 a.m. Sometimes, you’ll find a story, maybe a few short words, maybe a series of photos. That will happen every day, for the next 30 days, God-willing. Studies show that the best way to form a habit, is to NOT break the chain. Habits form if you keep at it, one day after the next after the next. 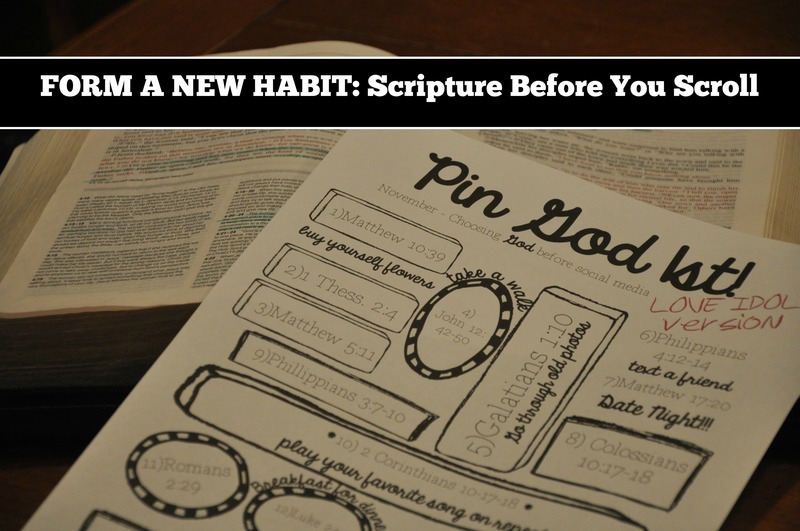 After our 30 days, we may have created a new habit of Scripture before Scrolling — a habit that can take us into the Christmas season, and beyond. If you want to follow along, visit us here on the blog every day. I’d love to hear your insights in the comments. Or tag me on social-media so I can find you. Also, consider subscribing to my blog by clicking here. You’ll get these daily reflections in your inbox, every day, through the month of November. Thank you so much, for this, Jennifer! I was just having this conversation with my husband. I’ve sensed that my iPhone (or, my heart behind my tether) is becoming an idol. It’s the first to have my attention in the morning and the last at night, before snuggling close to me on my nightstand. I’ve been feeling the Spirit nudging me to make some changes, and honestly I’ve been pretty good at justifying and ignoring. This morning we made a little step by replacing the kids’ Netflix watching over breakfast with some Bible stories read by mommy. In 2014, we have to be intentional about priorities in whole new ways. Thank you for this timely read! With you in this, Kayla! I hear you, understand you, and am fighting back WITH you! I knew I had to read this before I left for work this morning because I have been struggling to not go to the computer first thing in the morning (that is, after getting dressed, feeding the dog and getting breakfast for myself to bring to the computer). (My iPhone wouldn’t last a second on my bedside table, it’d get lost amidst all the books.) I read a catalog this morning in order not to be on the computer. Normally, I pray to God during my commute, because I take a bus and I do tend to get off track. I think for me, the hook is getting caught up — this need to know what’s been happening in the world and in my family and friends’ lives … and I have fasted from the computer and have not missed it. The computer is currently the second or third thing that I do in the morning and that’s still too early, given that my work day is so heavily computer-based. I would like to ask why you’re posting your reflection for each day’s practice at 5:00am? Would it not be better for us poor tech-addicts to post it in the middle of the day? (Admittedly, with your broad readership, finding a time when it’s not morning somewhere might be difficult!) I probably won’t swing by until later in the day myself because I’d want to journal my reflections first. 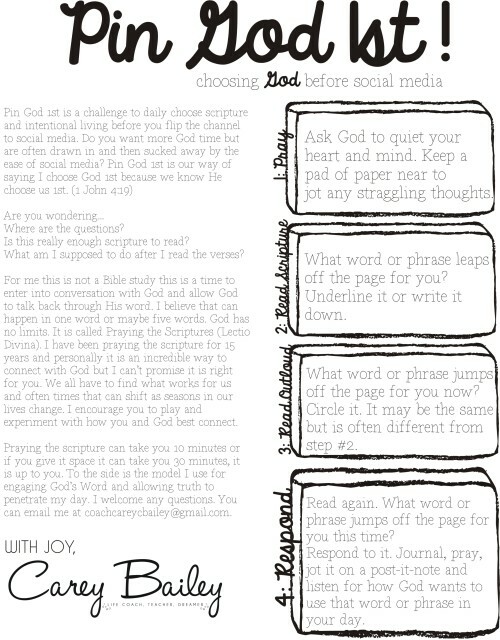 I love lectio divina so I’m going to take this challenge on (and write about it too) even though I haven’t read your book (sorry). You see, when I go on retreat, I get a spectacular view where I can sit in the early morning with a cup of tea and just be with God. I don’t have a spectacular view at home, but I miss that time. So I’m hoping I get a new habit here — although the day Daylight Savings departs? That’s gonna be *hard*. I am going to schedule the posts early in the morning, so that people can come over anytime during the day to take part in the study, together. I want to be sure the email gets out as early as possible, so that anyone who wants to participate, can do so. It’s meant only to serve you, as readers, particularly the ones who rise early to meet the Lord. I normally don’t post my blog posts until about 9 a.m. each morning, but feel that this is more helpful for those who have already gone about their day. Which means I’ll like be working one day ahead of you all. I’ll be writing the posts the day previous, and then scheduling the post to appear here. And certainly … I don’t want my blog post to be a replacement for Scripture reading, just a room to come to, like a Bible study room, where you can gather with me and with other women to talk about how God has spoken to you. Additionally, it’s not required that anyone comes to comment at 5 a.m., or any other time, for that matter. It’s just a space available, all day long, if you want to join the discussion. I hope that helps?? Do you have any other questions, Leanne? Oh! That makes sense. Thanks! I’m looking forward to it. Thank you, Jennifer! Means so much to me that you stopped by today! Agreed, Ellen. Thanks for stopping by today. I agree whole-heartedly! For me, it’s my computer, but the exact same idea. It’s so easy for technology/social media to creep in isn’t it? Putting my iPhone and computer in its place…thank you for the reminder Jennifer and Carey! I understand what you’re saying, Caryn. Now, with this iPhone, I can practically bring my computer to bed with me! ACK! That’s why I gave it the eviction notice. That’s right ~ eviction notice indeed! I’m in, Jennifer, I’m in!!! What a great idea! For me? It’s the laptop. First thing in the morning, on it goes.Then I proceed to put away 3 hours, at least, on this piece of machinery. 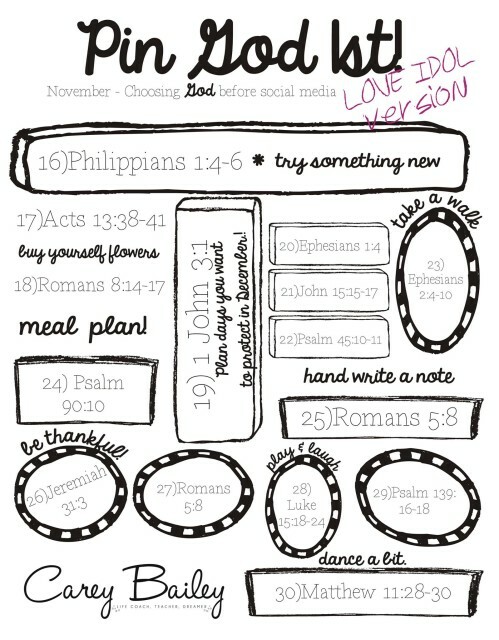 I tell myself I will open my Bible afterwards, but by that time I have my list of other things to accomplish. 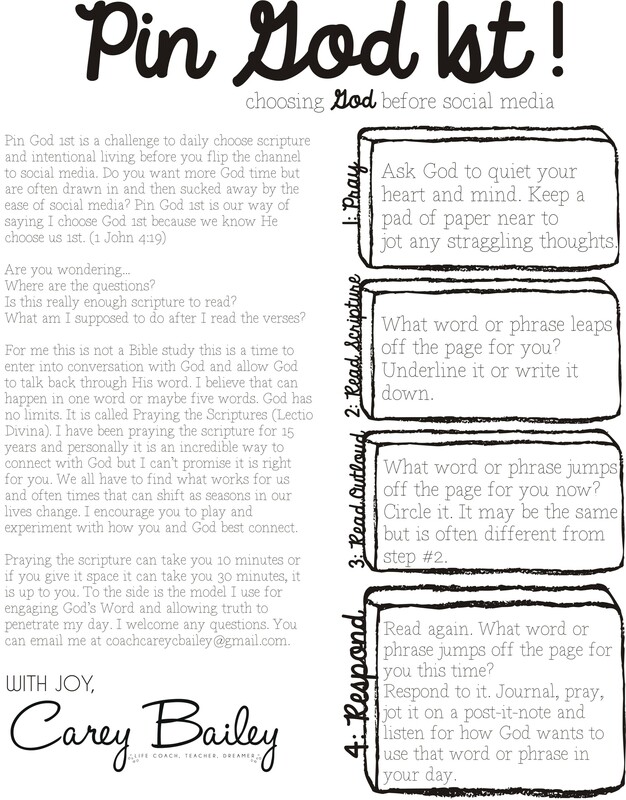 And my prayer journalling? Not happening. I feel ashamed to even confess this. And I’ve known all along that this is my problem, my god before my God. This thing is addictive! I need discipline to put Him before all other things. Of course, I’ll need to turn on the laptop in order to get the Scripture each day, but I pray I will then walk away toward my Bible and spend quality time in the Word…AND prayer time before I come back to the screen. A-men! This so resonated with me, Jennifer. Several months ago, I made the decision to stop using You Version for my morning reading and get right back into the pages of my hardcover Study Bible. It has breathed new life into me in so many ways. I don’t think I am going to be able to play along this time as I am leading 2 online Gratitude studies in November, but I am going to bookmark this post and keep the pages handy for when I finally sit down to read Love Idol. I have it on my ready list for January. Your study sounds wonderful, Lyli. And I think there’s something to what you’re saying … about taking the You Version off — or at least not relying on it to the extent that I do. My study is always so much richer when the pages are spread open before me. Lyli, where can I learn more about your gratitude studies? Yeah, those do sound intriguing. I’m interested as well, Lyli. May I join? Well, I was sitting here feeling just a wee bit smug at first, because I don’t have an I-Phone. I just flip when absolutely necessary. But that said, Holy Spirit, immediately nudged my little (?) ego here, and reminded me that I can go to the computer first thing in the morning (and often do!) “just for one minute–promise, Lord” to check to see if there is any emergency email? Really?! And before you know it, sometimes, I’ve wasted a half hour of precious time with my precious Lord! And before that?! He had to speak to me about watching the news before keeping watch with Him. Honestly! My heart is shaped like a great, big, fat golden calf, hooves, tail and all (we’ll leave udders aside for now–I don’t even like that picture)!!!! Love what you are doing here, Jennifer. I just want to put Him first, not because He makes me do that in a wooden, legalistic way, but in a way of wonderment and love. I prefer a physical Bible, but I TOTALLY GET what you are saying, and I’m so grateful for my Bible on Nook when traveling. You are just so precious, Jennifer, and I love you. Thanks for a much-needed reminder! I do the SAME THING, Lynn. I think it’s just for a moment, and before I can see what’s really happening, I’m all the way in the door. And I don’t get back out until my morning is half gone … or all the way gone. Thanks for being here. Thanks for your transparency. You always give me courage. You know….this is so convicting me (in a good way). Maybe this can be my Advent focus–God first, first thing! THANK YOU!!!!! Me, too, Lynn. I think this will be a good prelude to Advent. Oy! ….that’s all I’ve got. I most definitely needed to hear this. And I can’t wait to print the printables!! Yay, Jennifer! I am so glad you’re on board, and would love to hear how these Scriptures are speaking to you. I have to admit that once the alarm went off this morning at 5:00 a.m. I reached for the phone and read my verse of the day. After that, I moved right along to my email. I can recall all three of those emails I responded to so early in the morning, but I can’t recall the verse of the day. As I put on my makeup I was even thinking to myself how quickly I zipped from reading God’s word right on to make sure nothing broke in the night at the company I work for. Your post is incredibly timely and I can’t wait to join these ladies in the November challenge you and Ms. Bailey have laid before us. Thank you for being you, Jennifer. Always encouraging my spiritual walk – far more than you know. I do the same thing, Jennifer. I totally get it. What a fantastic idea for the month of November, Jennifer! I would sign up, but will be without internet for a week this month (yes, and I can’t wait! ), so will just check in as I can. However, please know that your book is on my Christmas wish list – I’m so looking forward to reading it! 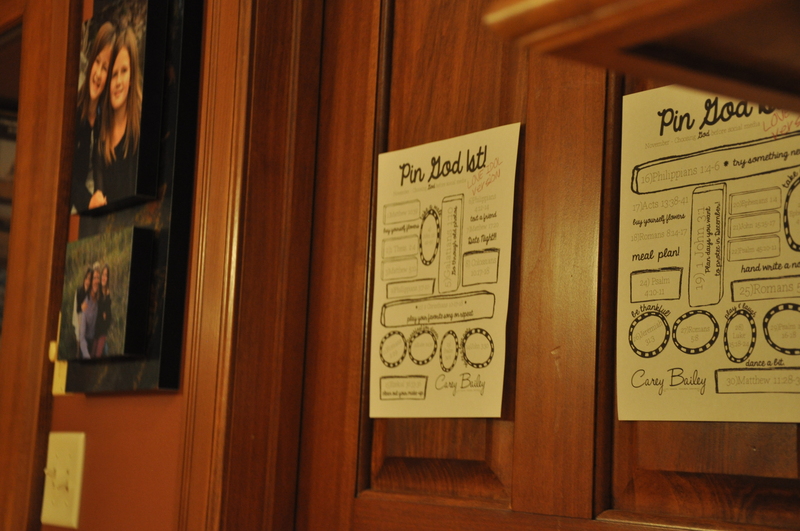 And, these printables? Inspiring! Hi Martha! We’ll be happy to have you whenever you’re able to stop by. I always appreciate your insights, and would love to hear how the daily Scriptures are speaking to you, as much as you’re able to share. I’m so glad, Lorna. 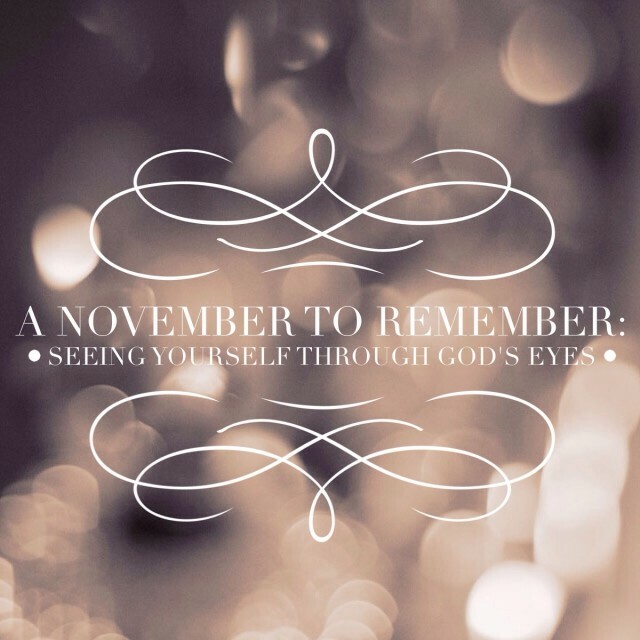 Our November 1 post is up. Be sure to stop by. That is, if you have time. I’d love to hear how today’s Scripture reading spoke to you. 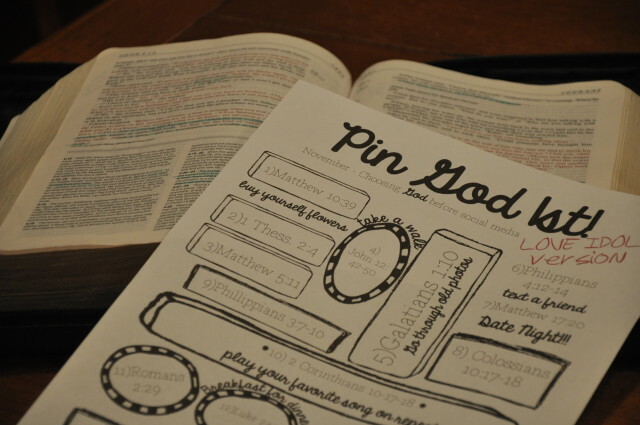 I just stumbled across your blog THIS MORNING after ready spending too much time on FB and then Pinterest…and I haven’t even considered God once since I’ve been up. As soon as I saw your post and what it was all about, I thought, “Oh it’s probably from last November or something…” Nope. Starts today and I just found it today already totally awash in social media. This could NOT have come at a more perfect time. 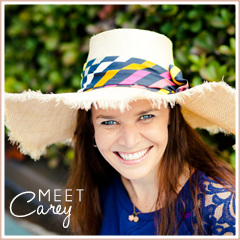 Thank you and thanks to Carey for helping me along my faith journey. I can’t wait to see how God will speak to me over the next month!!! Oh Cristina! I’m so glad you’re along for the journey. God has been so sweet to me this morning, and I just sort of sat here shaking my head, wondering why I forgo those tender moments with THE CREATOR OF THE UNIVERSE in exchange for Facebook. I mean, seriously! … But He’s so good. He shows up. Actually, He’d never left. I had. I’m very in. This came at the perfect time as I’ve been finding myself lost (is that even possible? Hehe) the past few months. Since my beloved Granny passed away in June, I’ve been struggling, with so much. I’m hopeful this will help get me grounded again in my faith and relationship with God. I’m a couple days late, but I’m jumping in friend, and full of joy to be with you here!